Tickets booking for Tirumala Tirupati Devasthanam (TTD) , Balaji darshan - TTD Provides online Tickets booking service,Pilgrim's can book their darshan tickets online and check slot availability online,Tirumala Tirupati Devasthanams (TTD) all information available on their official website,e-Service Portal www.ttdsevaonline.com for book "Sudharshanam Darshan" tickes online. 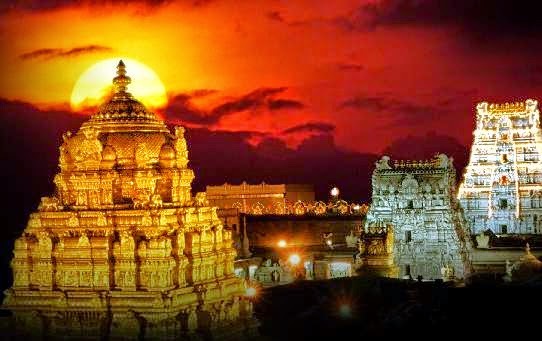 Tirumala Tirupati Devasthanams (TTD) is an independent trust which manages the world's richest temple "Sree Tirumala Venkateswara Temple" at Tirumal, chittor district, Andhra Pradesh. Tirumala Tirupati Devasthanams most visited religious center in the world. Millions of people visit "Venkateshwara temple" every year. It is estimated that nearly 100,000 pilgrims daily, and special occasions and festivals, like the annual Brahmotsavam, more than 500,000 pilgrims visited. TTD Provides various online services for Pilgrims.TTD started online tickets booking for 'Tirumala Darshan'. A Pilgrims can book their darshan tickets through online e-Sevas Portal. How to book 'Tirumala Darshan' Tickets online ? Pilgrims can book their darshan tickets online , Use Tirumala Tirupati Davasthanams (TTD) official website www.ttdsevaonline.com for online 'Darshan tickets'.is known as 'Sudharshanam Darshan',Pilgrims can book their "Darshan tickets" though TTD e-Service Portal of 3 days in advanced and maximum of 90days.Registration with TTD e-service Portal is mandatory for booking 'Sudhashanam Darshan' wherein Pilgrims is provide their valid email ID and Password for booking of Seva/Accommodation /Darshan/Donation. After registration, activation link will be sent to the registered e mail ID address for verification, Pilgrims can click on the link for activation.Click here step by step guide line for book an online tickets for the 'Sudharshanam Darshan' though TTD e-Service Portal. Before process below listed documents is required for booking online tickets for the "Sudharshanam Darshan. Before book a slot for Sudharshan darshan ,Piligrim can check the available dates for the 'Sudharshanam darshan' online, Click here for how to check the available dates for the Sudharshan darshan slot though the TTD e-service Portal. After checking available dates, Pilgrims can planned their Sudharshanam darshan, than start online booking process, after successfully entering data , and Completion of payment gateway process, in the Sudharshanam darshan booking confirmation frame Click on "Receipt" column to open the e-sudharshanam receipt than Click on Print 2 copies to print two copies of the generated Sudharshanam darshan receipt. Click here for booking Sudharshanam darshan ticket though TTD e-Service Portal. Hello sir / madam i want to book TTD online Darshan booking where i can book it ?